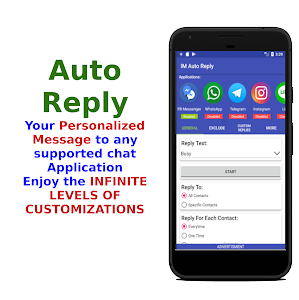 SMS auto reply is now available in the app, Due to google Permission policy we cannot access SMS directly, If sms auto reply does not work on your device, please install an SMS application that supports reply from notification! 1- Choose All contact reply method. 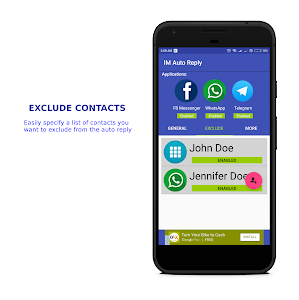 2- Go to the exclude contact tab. 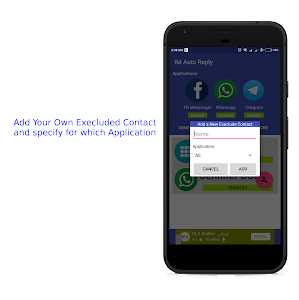 3- Specify the contacts you want to exclude and on which application. 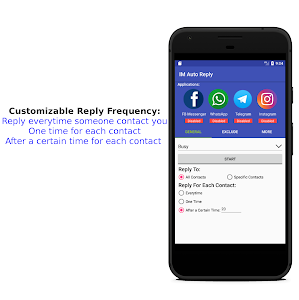 1- Choose Specific contact reply method. 2- Go to the include contact tab. 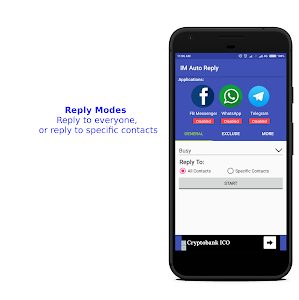 3- Specify the contacts you want to reply too and on which application. 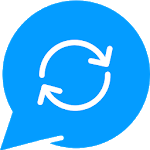 1- Go to Custom Reply Tab. 3- Click on the add message bubble next to his name. 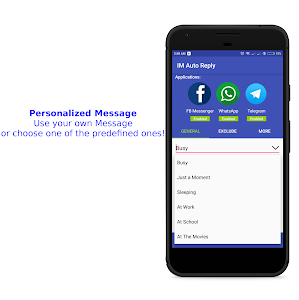 4- You will be moved to a new page, click on the message bubble to add a new message. 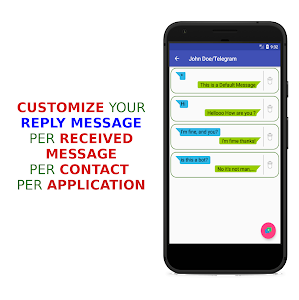 6- Once you receive a message from the contact by the specified application it will reply with the custom text! the application will automatically adapt to the configuration on the fly!.